Vietnamese egg coffee is one of those unique local foods, which never fade in the memories of travellers in Vietnam. Upon their arrival home, many people try to replicate it home, but it is not easy to achieve the same taste and consistency, whereas a secret lies in the right proportions and an ability to create a delicious frothy mixture of egg and sweetened condensed milk. Despite the fact that egg coffee is widely known as a Vietnamese hot beverage, it is perfect for cold winter mornings in Europe! For example, you can find a similar recipe also in Norwegian and Swedish cuisine, and it is often referred to as Scandinavian or Norwegian egg coffee. 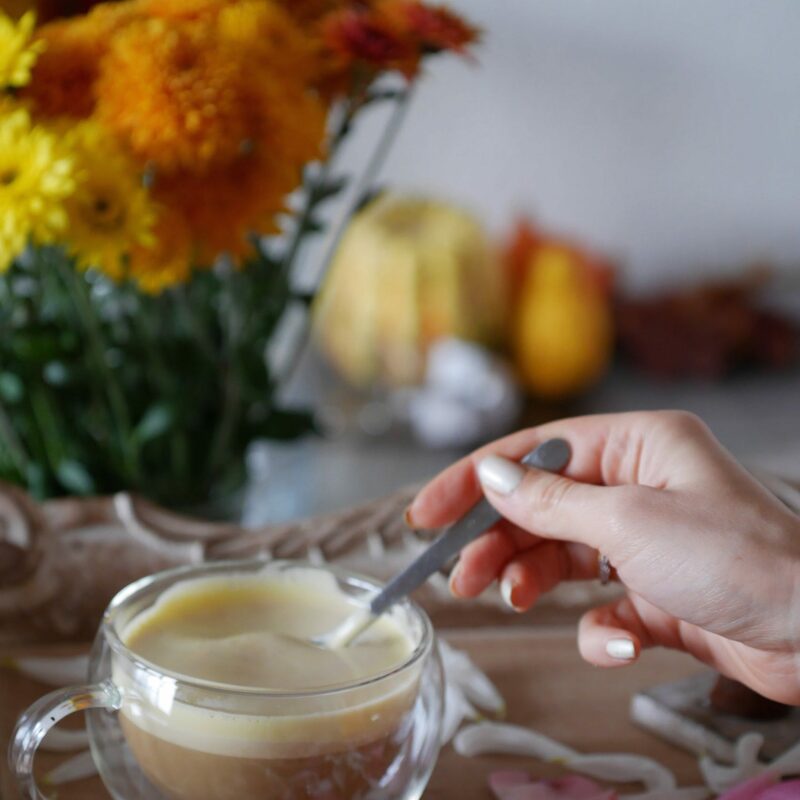 The perfect mix of condensed milk and egg yolk gives a new life to a popular hot drink. Step 1. Make a small cup of coffee the way you like it. There is a certain way of coffee preparation you would need to follow to make a proper Vietnamese style coffee, but as it is not always easily available, your regular cup of black coffee will do! Step 2. Whisk the yolk with the condensed milk and 1 tsp of (brewed) coffee until the mix is completely foamy. Step 3. Pour the mix on the top of your coffee. It will create a beautiful two-layered beverage in your cup, but keep in mind that it will take just a few moments for the tope layer to start mixing with the coffee. Your coffee is ready! If you prefer it rather on a sweet side, add more condensed milk or any sweetener of your choice. 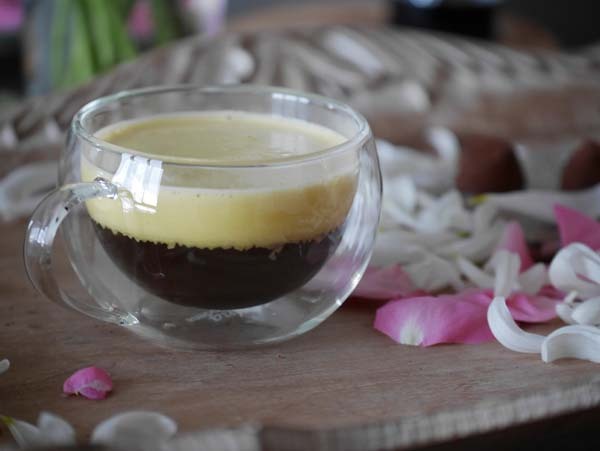 And if you happen to travel to Vietnam – you can try the best egg coffee in town with one of our Partners, at a Food Tour in Saigon (Ho Chi Minh)!